This is the project that the DE0 Digital IO Wing is for. 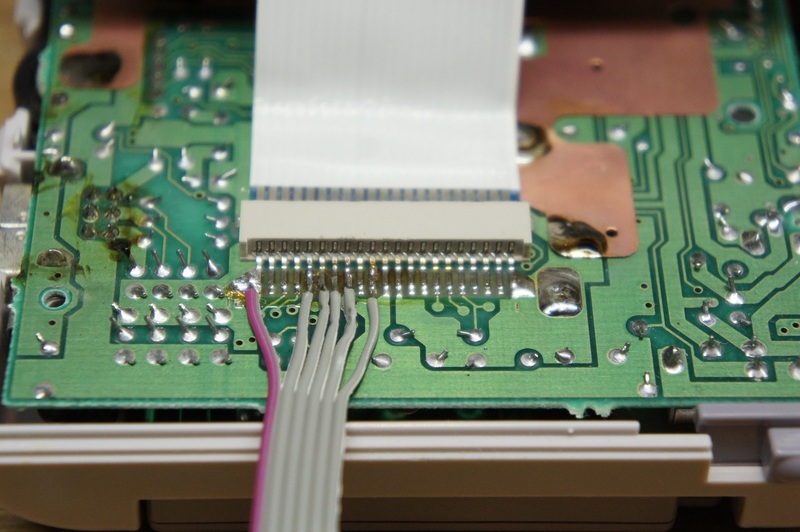 I will use the IO wing to level shift the signals from the Gameboy’s LCD screen so my DE0 can capture the data. The Gameboy is a 5V device and the DE0 does not have 5V tolerant IO. I am using a SN74LVC8T245PWR 8-bit directional level shifter to do the translation on the IO wing board. 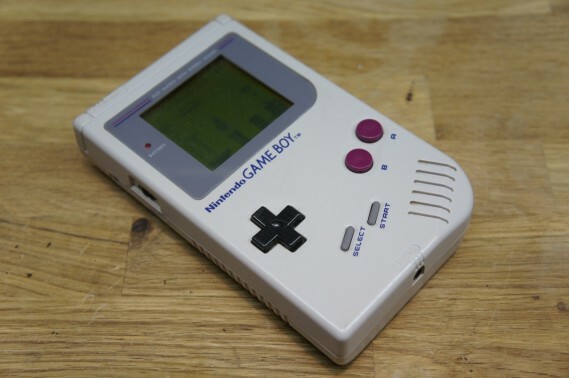 Purchased a Gameboy DMG-01 off eBay for $20. Needed some cleaning but it worked and had the battery cover! Taking apart the Gameboy DMG-01. 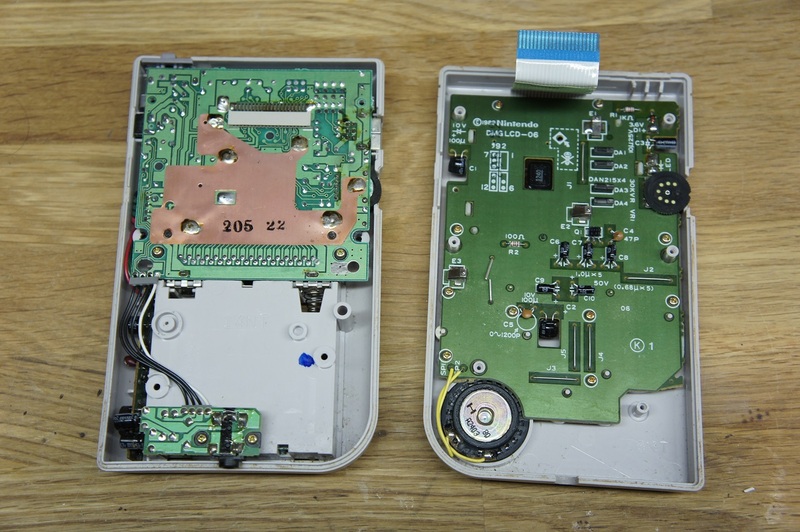 The Gameboy DMG-01 uses triwing screws. Kidna like philips heads but with 3 “wings” instead of 4. Tool can be found on eBay or Amazon. 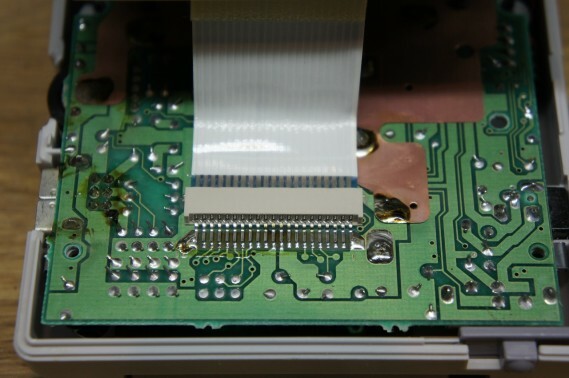 Front board and LCD connector for the Gameboy DMG-01. V-Sync should be 60Hz, Pixel Clock 4Mhz, and H-Sync 9.2kHz. Wires to sniff the connector. 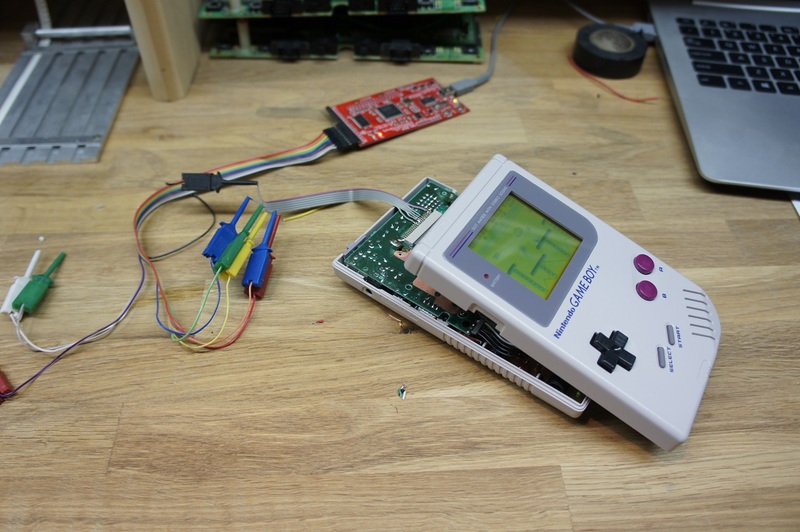 Open Bench Logic Sniffer connected to Gameboy DMG-01. Connected up the Open Bench Logic Sniffer and powered up the Gameboy with a game in it then ran the capture. I had the trigger set to wait for the V-Sync signal. Entire V-Sync frame. Hard to see much detail. Frame zoomed in a bit to see the individual horizontal lines. Then using my DE0_VGA_Driver I started writing the code take data from RAM on the FPGA and output it on the VGA monitor. I wrote a bitmap to .mif format (memory initialization file) convertor to display some Gameboy screenshots on the VGA Monitor. Link to that repo is here. 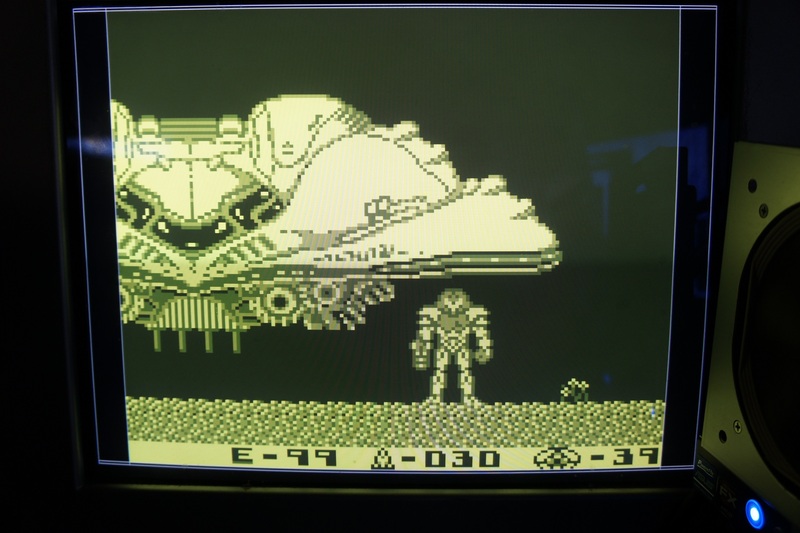 Gameboy DMG-01 screenshot displayed from DE0 FPGA RAM. Simulating original Gameboy “yellow-green” pallet. 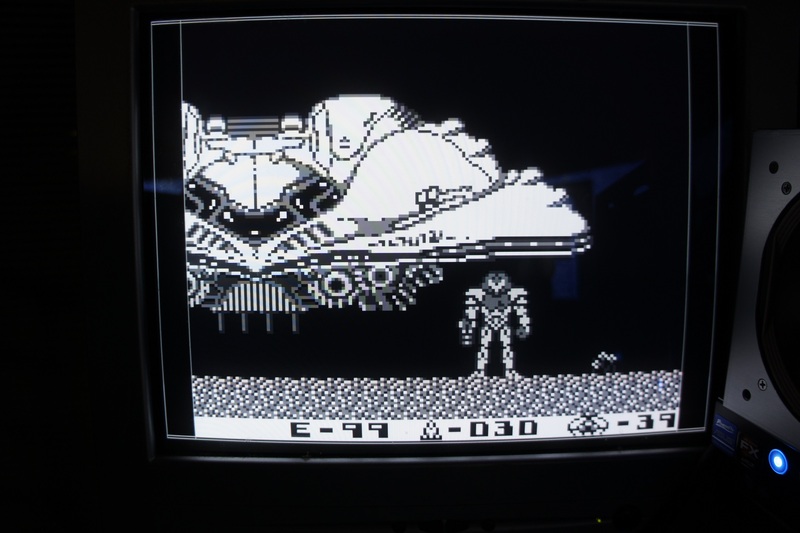 Gameboy DMG-01 screenshot displayed from DE0 FPGA RAM. Using B/W color scheme. Currently working on getting the SN74LVC8T245PWR level shifters working and I will be able to pull live data from the Gameboy LCD data bus. Fascinated. Did you get anywhere in the end? I’m trying to understand the GB video output and design an interface to drive a custom LCD screen to replace the existing pretty naff one, (by today’s standards). I can’t decide whether I need any other signals other than the five ones you have captured since there are seven lines connecting to the original LCD. Thus guy has done some work http://www.robotdialogs.com/2010/03/gameboy-classic-work-in-progress.html but even he is unsure of the other lines.